In today’s world, bomb blasts, crime, theft and vandalism have become all too common. 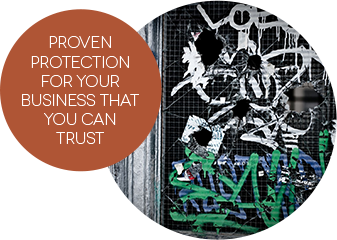 With terrorism and crime rates soaring, is your business or home worth protecting? If so, All Pro Window Tinting has the “Clear” solution for you. Using our line of safety and security films, we assure that glass will stay where it belongs – in the frame, and your property where it stands. “Smash and Grab” has become all too common. This is done very quickly, unless you start now to protect against it. We have many clients in the Metro-Atlanta area who have switched to this type of deterrent. Jewelry stores, optical retailers, boutiques, and large retail chains have all added our product. With a clear view and no more of those unsightly bars we are the “Clear Choice” for the better alternative. Our Safety and Security Window Films meet many certification and test standards used in real world situations. We have also done our own research to see which products withstand everyday occurrences; whether it is a brick through the front of your store, a crowbar at your house, or worse yet-a bomb blast we know what will protect you and give you the level of protection you can feel comfortable with. 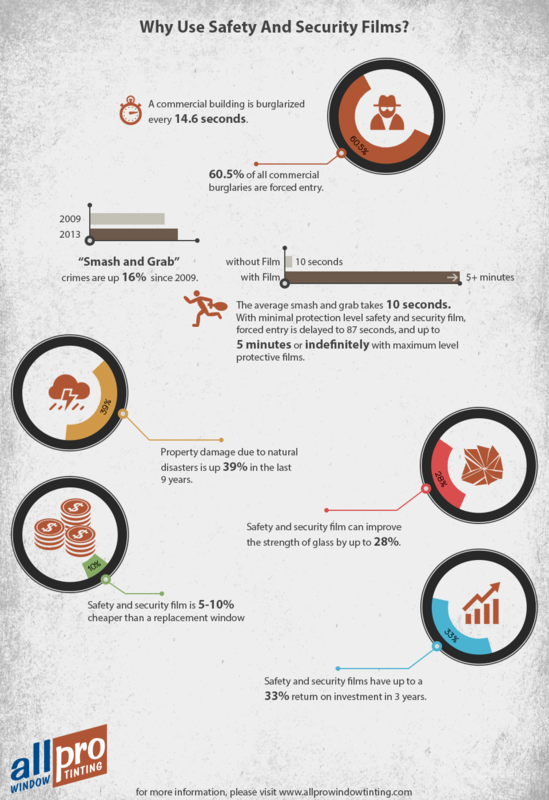 No safety glass film can guarantee 100% protection, but it can dramatically reduce the time a criminal has to get in and reduce the amount of loss or damage to inventory or personal belongings in the event of a bomb blast.